State Large Group is held at Beloit, Kansas for the 1-2-3-4A schools in this area. 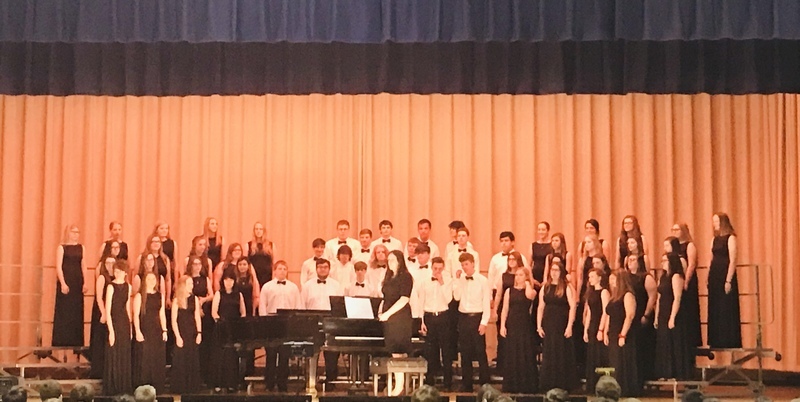 The Choir and band perform two pieces, one has to be from a required list in a specific grade range/difficulty level. Three adjudicators give us a rating I-V, with I being the best and we get an overall average. Band and Choir both received a II rating at State Large Group! Article by: MaKenna Scheele, MHS Web Design Class.